Through the branches of an old and twisted cypress tree, the colors of a Hill Country sunrise sift in through the leaves. Below, a tranquil pool reflectst he colors and fish cruise the water in search of breakfast. 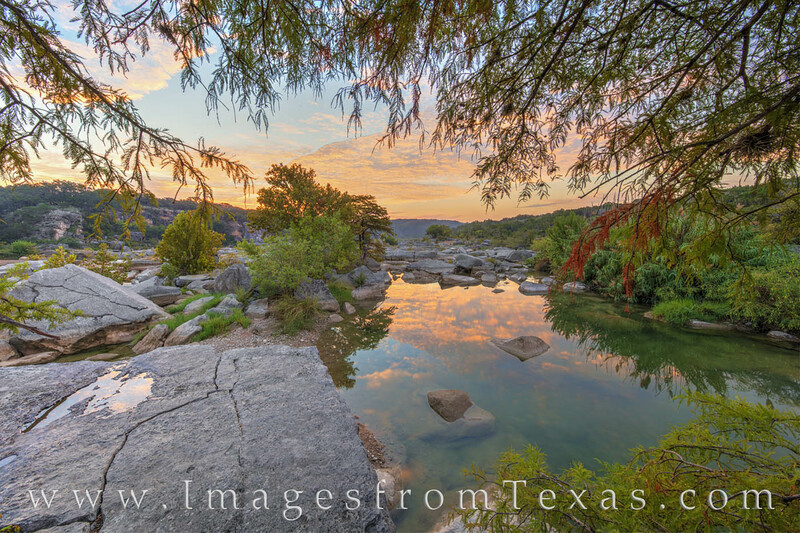 This is one of my favorite places along the Pedernales River. Photo © copyright by Rob Greebon.